Vitamix L (Layer) premix is prepared to meet all nutritional requirements to reach aimed production performance and also egg quality. 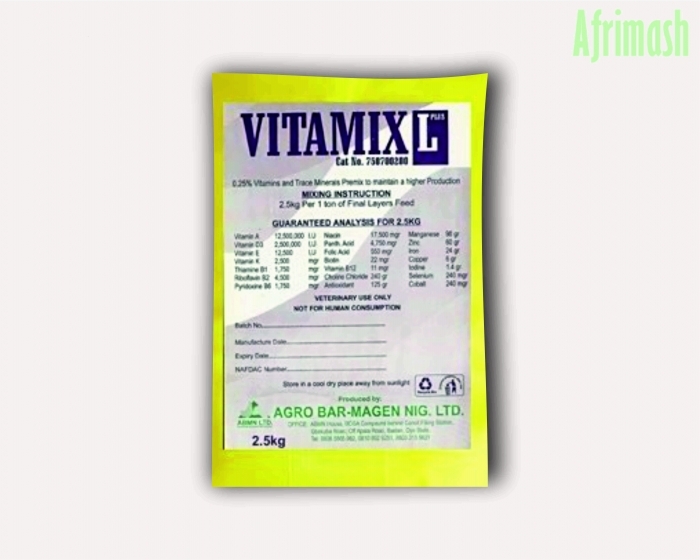 Therefore it contains all necessary vitamins, minerals, amino acids and other additives formulated to provide nutritive values to laying hens at the growing and laying stages and improving productivity and immunity. Vitamix L (Layer) is a quality versatile vitamin-mineral formula that is produced for hens as they enter pre-laying and laying phase. 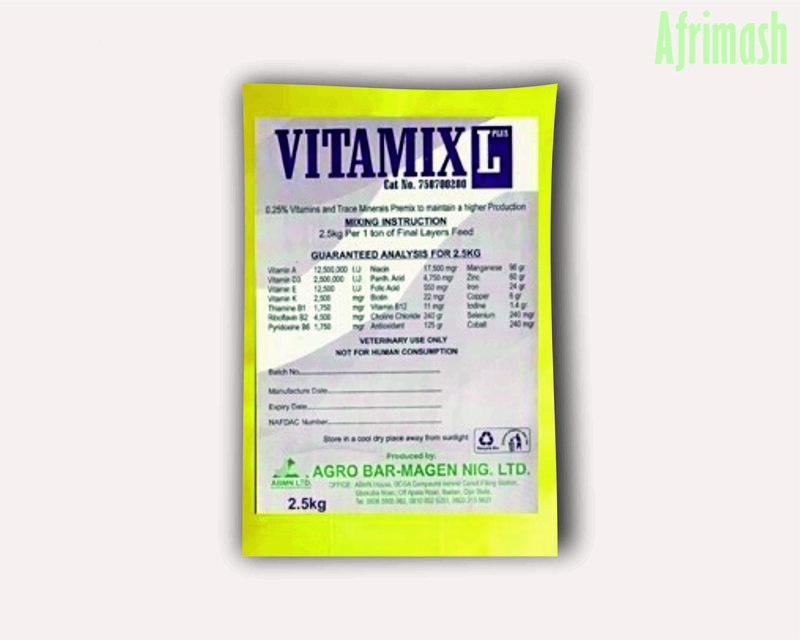 It is a concentrated vitamin and mineral mix that is formulated to be mixed with hen’s feed to provide a nutritionally balanced diet for laying hens. Thus this premix can also be used to make laying diets for other poultry such as turkeys, ducks and game birds. Formulated to meet the nutritional requirements of growing birds that are reaching the stage of laying.